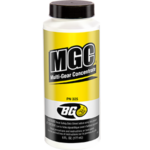 BG Universal MGC® | BG Products, Inc. 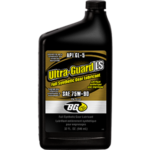 Through normal operation, the bearings, input and output shaft gears and gear teeth in manual transmissions are subjected to intense stress and heat. The result is chipping or flaking of bearings which can result in looseness or binding on the shafts. Gear teeth will become pitted and worn. Synchronizer sleeves may become scored so that they do not move freely on the hubs. 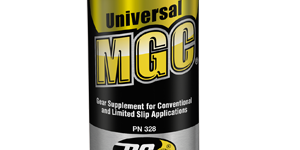 These conditions produce a noisy, hard-shifting transmission and eventual failure. 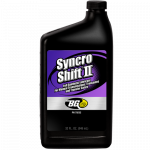 Limited slip differentials are designed to transmit the major driving force to the wheel that has the most traction. Thus, useless spinning of a wheel in mud, snow or ice is minimized. 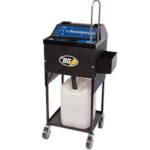 However, when driving vehicles equipped with limited slip differentials, a loud chatter frequently occurs when the vehicle is turned. This problem is caused by stick-slipping between the plates because of too much friction. 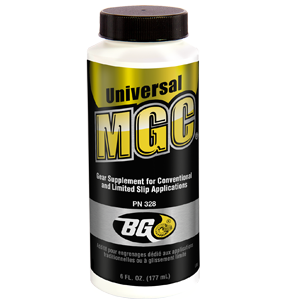 BG Universal MGC® is designed to protect both conventional and limited slip differentials. 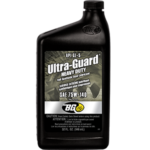 It enhances lubricant film thickness and improves extreme pressure characteristics of any gear oil. 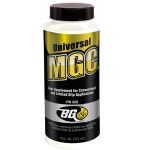 BG Universal MGC® can be part of the BG Drive Line Service. 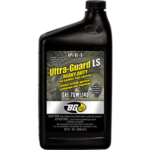 BG Drive Line Service is backed by the Lifetime BG Protection Plan® if the initial service is performed within 100,000 miles/160,000 km. 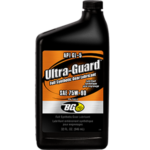 To maintain coverage, get a BG Drive Line Service every 30,000 miles/50,000 km!